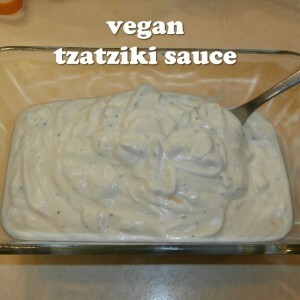 Home » Ingredients » Tzatziki sauce – vegan, garlicky, tangy, and addictive! This recipe for vegan tzatziki sauce is creamy, vegan, garlicky, tangy, and addictive. It’s good on practically everything. I use it in my recipe called Riz Bi Har. 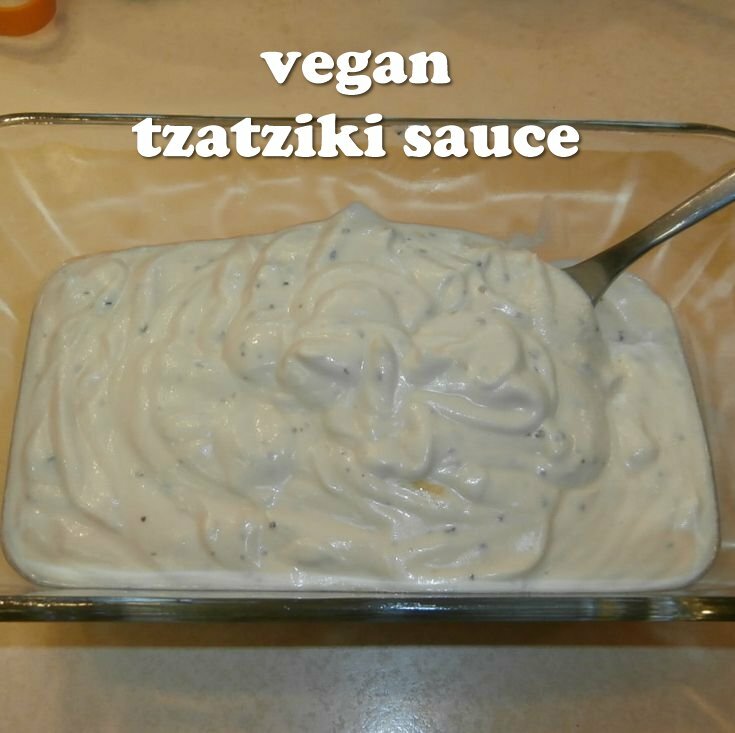 Tzatziki sauce - vegan, garlicky, tangy, and addictive! This recipe for vegan tzatziki sauce is creamy, vegan, garlicky, tangy, and addictive. It's good on practically everything. I use it in my recipe for Riz Bi Har. This can be either soy-free or nut-free, depending on which option you choose. Put all ingredients EXCEPT garlic in a blender or food processor. Also, if you are using the nut version of the recipe, only put in 1/2 cup of water. If you are using the nut version of the recipe, add the other 1/2 cup of water and blend again. Chop the garlic with a knife or a garlic press, so that it is still pebbley, and stir it in.